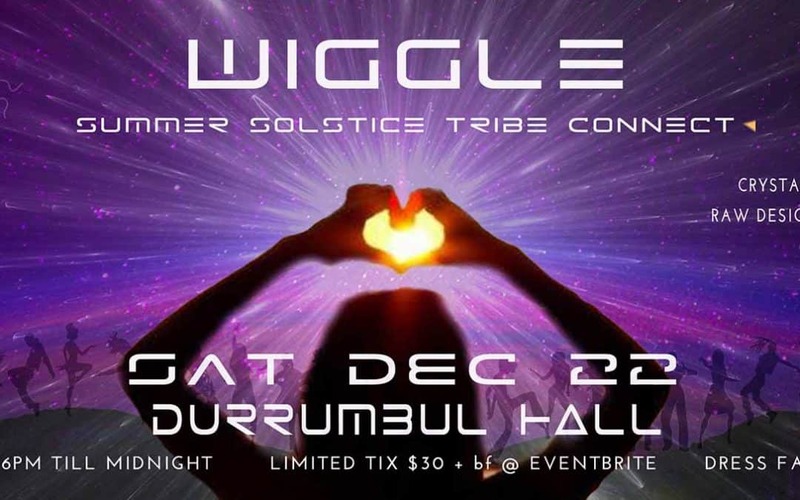 The 2nd edition of WIGGLE is happening – A Summer Solstice Tribe Connect @ Durrumbul Hall, Sat Dec 22 from 6 pm til midnight. A next level Crystal Grid production with Djs : Pob, Z.I.V, Nick Taylor, Amozon Warrior & Couples Therapy (April Kerry & Matt Fleming). Wood fired pizza c/o Luscious Foods, Chai, Cakes & Elixirs c/o Magic Mixes. Come for dinner, hang by the fire, try some magic mixes & wiggle with friends. Limited Tix $30 + bf @ Eventbrite or $35 @ door if available.